Even when we boast of maturing and overlapping national, regional, global and various multilateral and non-governmental structures that seek to realize and strengthen accountability of states to its people, it is undeniable that still, today, millions of people remain invisible and voiceless in policies, programs, structures and productions that affect their lives and livelihood, particularly on issues of peace and security. During this year’s celebration of the International Day of Peace, we, the Global Partnership for the Prevention of Armed Conflict-Southeast Asia (GPPAC-SEA), lend our voice to some of the most invisible and disenfranchised sectors in our society. There are other sectors that are equally invisible, but in light of the recent developments in the region and around the globe, we seek to highlight the plight of women, of indigenous and ethnic peoples, and the hundreds of thousands of peoples who are stateless and internally displaced. In conflict areas and situations across Southeast Asia and beyond, women continue to bear the brunt of systemic and armed violence. While shouldering the ultimate costs of war, they are also found exercising leadership roles as peace promoters coping with war and healing communities. Yet, both in the peace tables and in political decision-making, their voices remain in the sidelines. This is unacceptable. We call for greater participation of women at all levels of peace and decision-making processes; and making women’s voices heard in all political platforms to advance their interests and secure their rights. 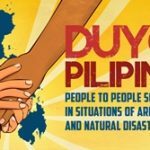 Moreover, from the Philippines to Myanmar/Burma, and in various parts of the world, the rights of the ethnic and indigenous peoples to their patrimony and culture, their right to self-determination and governance, and their right to development and to life are continually being trampled upon. In their struggle to protect their ancestral domain against the unaccountable encroachment of local and multinational investments in the extractive industries, often times, states fail to provide protection for indigenous peoples, and at times even lend their monopoly of force to business in order to expel the latter from their lands. Even in this 21st century, both the ethnic and indigenous peoples are continually “exotic-ized” and “instrumental-ized”, by governments and multilaterals, by the media, and even by INGOs and NGOs, perpetuating stereotypes of IPs being solely victims in need of help, or being culturally and technologically “backward” in need of “modernization”. These too are unacceptable. Genuine inclusion of the indigenous peoples start with the recognition of their agency to think, speak and stand for themselves. We call for a stop in the militarization of their homes, schools and communities and for respect for their ancestral domains, for the end in the impunity, the extra- judicial killings, discrimination and other forms of abuses being made against them, and for the protection for their culture and rights to life, patrimony and self-determination. Lastly, our hearts are with the refugees who are often unheard and forgotten, only remembered when its too little, too late. We are one with the victims of the hegemony of the state’s territorial sovereignty – the peoples and nations displaced from their homelands for foreign policies and wars signed, ordered and waged in their name and identities, but in which they have any say. We are one with the Syrians trying to cross to Eastern Europe, for a chance at survival. We are one as well with the peoples and nations driven out of their homelands out of persecution and discrimination. We are one with the Muslim Rohingyas – the new boat people of ASEAN – braving the seas to find new lands they can call home. We condemn policies of states and multilateral that frustrate the rights of people to seek asylum. Nonetheless, we commend that nations who have opened their borders. However, we assert that even when these countries accept all these refugees, the problem remains. In the first place, no one should have been forced to leave his/her home. We call for the exhaustion of dialogue and every peaceful means to resolve conflicts, in the Middle East and beyond. We denounce the unaccountable and violent incursions of the global powers in the domestic affairs of sovereign nations. Rather than meddling into the political affairs of these nations and instead of funding arms and war intelligence of their perceived allies, foreign aid should instead be directed towards empowering communities who will hold their leaders from both sides of conflict to account, and towards strengthening democratic institutions where such conflicts should rightly be settled, through dialogue and not violence. Incidentally, we also celebrated the International Day of Democracy last September 15. We are with our Filipino friends as they commemorate this day the declaration of Martial Law in the Philippines forty-three years ago. From that day, massive atrocities against the Filipino people, especially the political and cultural minorities, were made by their own state in the name of peace and order. We continue to assert that democratization, not militarization, is the way to genuine peace. There is no peace without inclusivity, there is no inclusivity without democracy, and there is no democracy without genuine people’s empowerment. As a final note, we express our solidarity with our friends in Japan and GPPAC-Northeast Asia in their fight against the (now passed) security bills that will allow the Japanese troops to fight overseas. We are likewise saddened by the recent passage of this security law. However, the fight is not over. We share the conviction that Article 9, the Peace Article, in the Japanese Constitution should have remained intact, and in fact should be multiplied in every legal jurisdiction and every part of the world. This recent setback means that we still have much to do in reminding our generation and the next what we should have learned from the past two World Wars.